The Royal Greenwich Get Together and Armed Forces Day will once again be taking over the heart of Woolwich for a fun-filled day on Saturday 29 June. 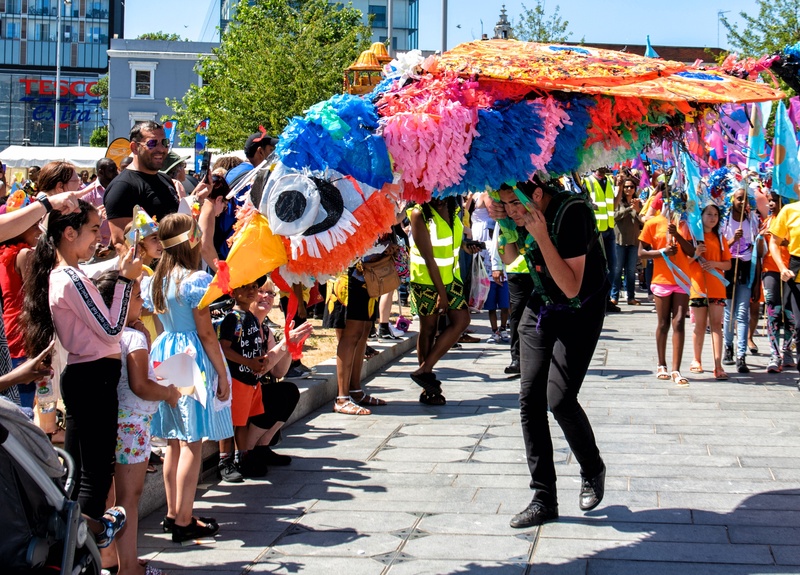 Following the success of last year’s event, which had more than 20,000 visitors, the celebration will be taking place across the whole of Woolwich from General Gordon Square right down to the river. The event will open with a veterans’ parade on the Royal Arsenal leading down to the Armed Forces area and will be followed by an eclectic line up of live music, children’s entertainment, an open-air cinema and theatre, circus, arts and crafts, sports activities and workshops. There will also be a carnival-style community parade made up of schools, groups and performers from across the borough as well as artisan street food, bars and a farmers’ market. There are still some spaces available for residents, schools and local groups to take part in the event, either as performers or stall holders. Anyone wishing to do so should express their interest by Sunday 21 April by completing an online application on our website. The full programme – which will include a well-known headline act alongside a variety local community groups – will be announced shortly. Click here for the latest event updates and to take part in the event.